Expansion joints are placed in concrete to prevent expansive cracks formed due to temperature change. Concrete undergoes expansion due to high temperature when in a confined boundary which leads to cracks. Expansion joints are provided in slabs, pavements, buildings, bridges, sidewalks, railway tracks, piping systems, ships, and other structures. This article emphases on need of expansion joint in concrete, characteristics of expansion joints, types of expansion joint and installation of expansion joints. Fig 1: Cracks developed due to expansion of concrete. Concrete is not an elastic substance, and therefore it does not bend or stretch without failure. However, concrete moves during expansion and shrinkage, due to which the structural elements shift slightly. To prevent harmful effects due to concrete movement, several expansion joints are incorporated in concrete construction, including foundations, walls, roof expansion joints, and paving slabs. These joints need to be carefully designed, located, and installed. If a slab is positioned continuously on surfaces exceeding one face, an expansion joint will be necessary to reduce stresses. Concrete sealer may be used for the filling of gaps produced by cracks. Expansion joints permits thermal contraction and expansion without inducing stresses into the elements. An expansion joint is designed to absorb safely the expansion and contraction of several construction materials, absorb vibrations, and permit soil movements due to earthquakes or ground settlement. 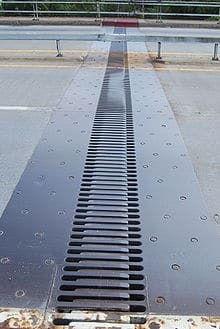 The expansion joints are normally located between sections of bridges, paving slabs, railway tracks, and piping systems. The expansion joints are incorporated to endure the stresses. 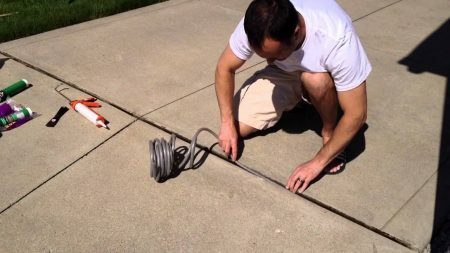 An expansion joint is simply a disconnection between segments of the same materials. In the concrete block construction, the expansion joints are expressed as control joints. Bridge expansion joints are designed to allow for continuous traffic between structures while accommodating movement, shrinkage, and temperature variations on reinforced and prestressed concrete, composite, and steel structures. Fig 2: Expansion joint in bridges. Clay bricks expand as they absorb heat and moisture. This places compression stress on the bricks and mortar, encouraging bulging or flaking. A joint replacing mortar with elastomeric sealant will absorb the compressive forces without damage. Usually, expansion joints are not provided in the railways tracks, but if the track is laid on a bridge having expansion joint, providing a expansion joint in the track becomes mandatory to mitigate the expansion in base concrete structure. 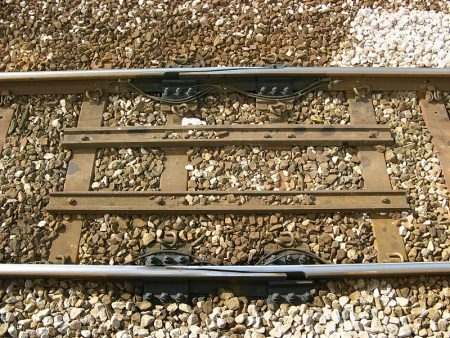 Fig 3: Expansion joint in railway tracks. Pipe expansion joints are necessary in systems that convey high temperature substances such as steam or exhaust gases, or to absorb movement and vibration. Fig 4: Use of filler material in expansion joint. The depth of an expansion joint is usually one fourth of the slab thickness, or more if necessary. The expansion joint gap depends on the type of slab, like floating slab floor, vehicle pavement, sidewalk, or monolithic slab foundation. It is also influenced by the slab dimensions, type of concrete, and the reinforcing materials being used. 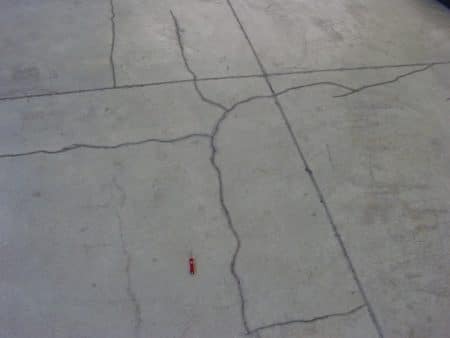 Cracks in concrete may occur at the expansion joints due to improper concrete mix or curing. These conditions cause shrinkage between the expansion joints and cracks can be formed. When the site is prepared for the concrete pouring and the provisioning of the expansion joints in slabs are made prior to the placing of concrete. An individual expansion joint is created by the insertion of a flexible material that runs along the joint length. Once the concrete is set, suitable tools are used for making grooves in the poured concrete for placing of the joint materials.